The last year has been an exciting one for cryptocurrency, especially Bitcoin. The digital currency has skyrocketed in value, with no telling how high it will go. The success of Bitcoin has finally convinced major financial institutions to come on board, but such success also brings a great deal of scrutiny. 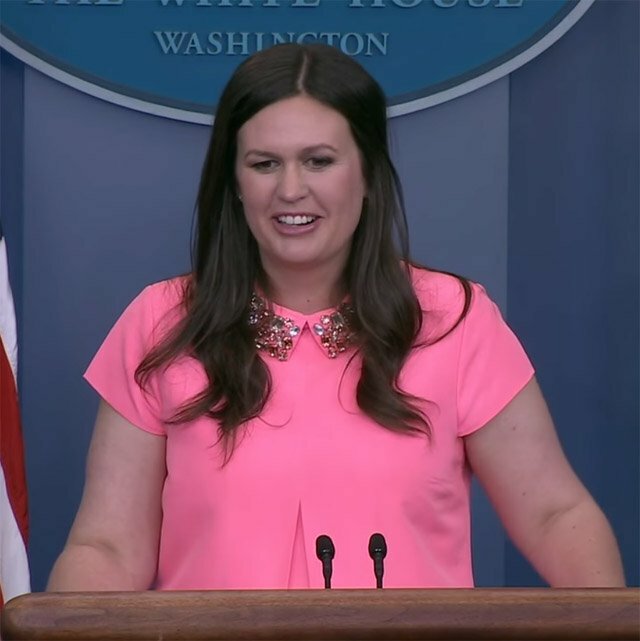 In a recent press conference, White House Press Secretary Sarah Huckabee Sanders said that the Trump administration is monitoring Bitcoin and may consider regulating it. Is Regulation for Bitcoin Coming? The fact that the US government is keeping tabs on Bitcoin should not come as a surprise. The IRS just won its lawsuit against Coinbase, causing them to hand over data on more than 14,000 accounts. The IRS suspected many people were evading taxes by using cryptocurrency, and an initial survey found that only 0.2% of Coinbase users reported a loss or gain on their transactions. The silver lining in this case is that the accounts handed over are restricted to those with a Bitcoin equivalent of $20,000 or more in a given year between 2013 and 2015. There are a number of other reasons why the Trump administration will wish to monitor Bitcoin and other cryptocurrencies. The fact that a growing number of people are willing to use a monetary system outside of federal control is not something that most centralized governments, either politically right or left, will be thrilled with. Then there’s the worry about what impact, if any, cryptocurrency could have upon the economy, not to mention the normal hand-wringing about Bitcoin being used for illegal purposes. We believe that the greatest threat is regulation. Several governments across the world have clamped down on exchanges, some halting trading altogether. Others have gone on to outright ban the use of Bitcoin. Sudden government actions in major Bitcoin trading hubs stand to disrupt the market, with the potential to severely affect the utility of bitcoin – and accordingly, the value. Right now, we’ll have to wait and see if the Trump administration does anything more than just monitor Bitcoin and its cryptocurrency brethren. Do you think that the Trump administration will eventually regulate Bitcoin? If so, will this hurt the value of the cryptocurrency? Let us know in the comments below. The exchange and wallet provider is currently facing enforced submission of its transaction records after the IRS went to court earlier this month. In data released as part of the lawsuit, the authority reveals that in 2015 only 802 people reported Bitcoin gains on tax form 8949, and that the number had been decreasing year on year. “The IRS searched the MTRDB for Form 8949 data for tax years 2013 through 2015,” the affidavit from IRS agent David Utzke quoted by Fortune reads. Coinbase responded to the new pressure to reveal its customers’ history last week by saying it “remains concerned with the indiscriminate and over broad scope of the government’s summons” and its legal team was reviewing the situation. We will continue to work with the IRS to assess the government’s willingness to fundamentally reconsider the focus and scope of the summons. If it does not, we anticipate filing opposition papers in court in coming months. While the company, which has served over 6.2 million customers, fights regulators on one front, no less burdensome is the current climate within the Bitcoin industry itself. Escalating mining fees caused Coinbase to halt payment of fees for customer transactions from March 21, while most recently, it even began advising customers not to hold funds on its exchange books. The warning to store bitcoins outside its exchange was due to potential implications of a hard fork, namely restricting access to customer funds which plagued the Ethereum hard fork in summer 2016. “Customers who wish to access both blockchains at the time of the hard fork should withdraw their BTC from Coinbase since we cannot guarantee what will happen during the hard fork or when this access may be available,” an accompanying post from Director at Coinbase David Farmer read Sunday. Customers should take note that they will not be able to withdraw bitcoin from or deposit bitcoin to Coinbase for a period of up to 24 hours or more following the fork. In the event of a hard fork of the Bitcoin protocol, Coinbase may suspend the ability to buy or sell on our platform during this time. Coinbase was not one of the exchanges which signed a joint letter Friday stating a hard fork would mean Bitcoin Core would retain the BTC ticker, while Bitcoin Unlimited would become BTU. What do you think about Coinbase’s handling of the IRS and hard fork possibilities? Let us know in the comments below! Starting the year in the $1,000 USD range, Bitcoin has had an eventful month and January isn’t even over yet! So far, we’ve seen many countries take a new stance on Bitcoin in regard to regulations and taxes. Although this may cause some commotion in the short-term, as seen with the Public Bank of China inspections, which led to a crash in the price, it’s actually great news for Bitcoin. It means countries are taking Bitcoin seriously (as they should), allowing it to intermingle with their traditional economies, rather than considering national bans. Although we doubt that Bitcoin will be chosen as the official currency by any country in the near future, 2017 may hold great things for Bitcoin. Below are just some of the countries, who have recently reiterated their stance or are starting to consider regulating virtual currencies. In Poland, Bitcoin miners were subject to a 23% VAT when selling the cryptocurrency. This is because mining was considered a service and the act of selling Bitcoin was subject to a fee for this service. Even recently, in November 2016, a case in the city of Poznan led the Finance Minister to rule that the sale of bitcoins is an act subject to VAT as a supply of services. However, a recent case in January where a company issued foreign customers invoices in U.S dollars to be paid in Bitcoin led the country to revisit the subject. The Minister of Finance decided that the action selling bitcoins, for which the taxpayer occasionally received as compensation for services rendered, does not constitute an economic activity. Thus, Bitcoin is not subject to VAT. The Minister pointed out that the sale of virtual currency would be taxed only if the company conducted professional activity in this field (eg. currency, banking services) and charged a commission fee for doing so. 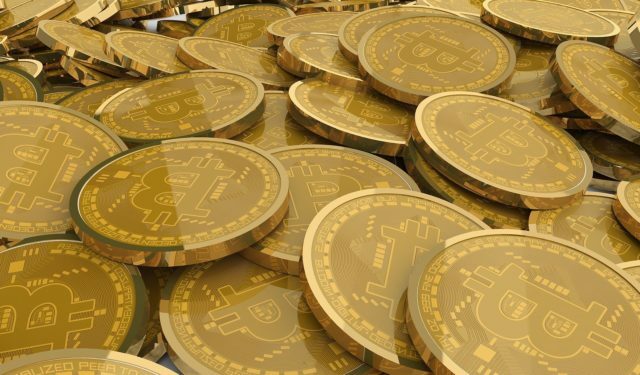 The decision was based on the ruling of the European Court of Justice in October 2015, which stated that bitcoin transactions are exempt from the consumption tax since Bitcoin is used as a means of payment and not as a commodity. The Israeli Tax Authority, however, has taken a different stance on the subject and has classified Bitcoin as taxable asset, and not as a currency or payment system. A new document issued by the Israel Tax Authority on January 12th states that Bitcoin, Litecoin and other virtual currencies are considered neither as currencies or financial securities and are instead taxable assets that are subject to capital gains tax and value added tax (VAT). Individuals will be required to pay the capital gains tax of 25% every time they sell a cryptocurrency. Companies and individuals that are trading, marketing or mining bitcoin will be taxed as a business and must charge their clients a 17% VAT. Companies that accept Bitcoin payments, will need to classify the exchange as barter, which will lead to extra paperwork for the company. The document was issued in response to the repeated questions from cryptocurrency users in the country. Although the new tax laws will make the life of cryptocurrency users harder, the regulatory landscape has at least emerged from the uncertain gray area. Although no new regulations have yet been issued by the country, the latest developments suggest they will soon be. Following the inspections carried out by the People’s Bank of China to domestic exchanges, these have halted margin trading services, which has led some to believe that new regulations are on the horizon. Trading fees may also be applied to exchanges in China, as seen in the warning posted on BTCC’s official website. Currently, citizens in China are free to hold and trade bitcoins, although financial firms cannot. The regulatory framework issued by China in 2013 sees Bitcoin, not as a currency, but as a virtual commodity. The sale and importation of commodities are subject to a 17% VAT in the country. Russia, which has always had a difficult relation with the cryptocurrency has surprised many on this subject by stating that no further action will be taken by the government to prohibit the use of Bitcoin. It became clear that it is not straightforward to address Bitcoin with existing financial regulation. Regulators and financial agencies agree to not prohibit the use of Bitcoin. Instead, we want to gain a better understanding of Bitcoin, and build a regulatory framework we have gathered the necessary knowledge. In Nigeria, where crypto-themed Ponzi schemes like OneCoin and Swisscoin are highly popular, warnings have been issued by two separate authorities, the Securities and exchange commission (SEC) and the Central Bank of Nigeria (CBN). Although no new regulations have been issued, both notices warn users and financial institutions regarding the legal status of cryptocurrencies, which are not seen as legal tender, stating that financial institutions should deal with cryptocurrencies at their own risk. Both notices mention OneCoin as a cryptocurrency, which demonstrates the lack of knowledge some countries still face when dealing with Bitcoin and other digital currencies. For more about how Bitcoin is regulated (or unregulated) in other countries, go here. 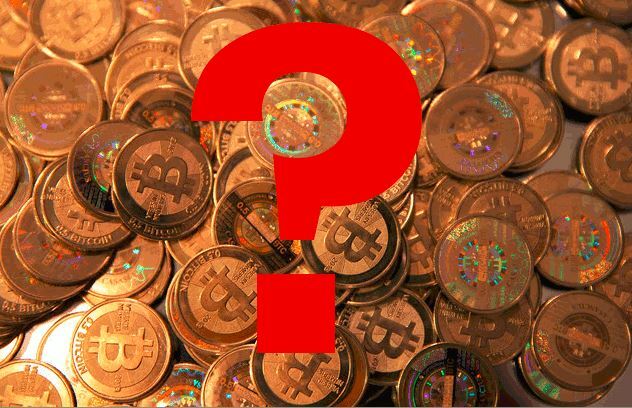 What’s your take on the recent regulatory developments in the world of Bitcoin? Are they a step in the right direction? Let us know below!